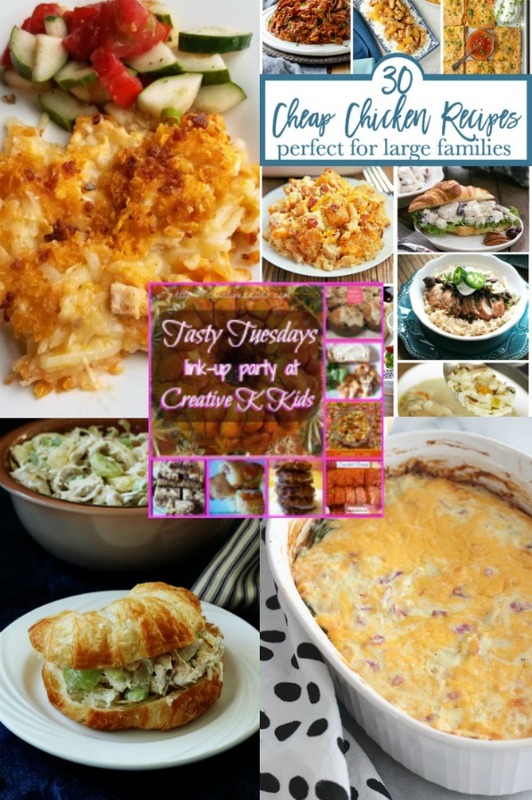 Welcome to this week’s Tasty Tuesdays’ Link Party where we are dishing the best recipes. Each week, food bloggers link up their very best and tasty recipes and we want you to join us! If you’re a food blogger, share your delicious recipes on the link party. Not a blogger? No worries, this party is for you, too. Why? Because, here you can find tasty dishes to add to your menus. Can you believe it’s August already?! The year is flying by. This week, I am choosing to feature a few chicken recipes for all of us to try. I am always on the hunt for new chicken dishes as it’s the main meat that we tend to have. Casseroles, sandwiches, and many more delicious chicken recipes await! In the comments, share your FAVORITE way to use chicken for a meal! 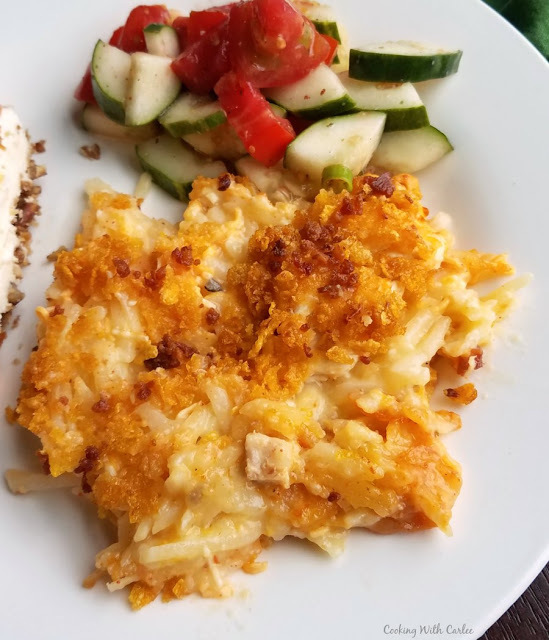 Carlee, (Cooking with Carlee) has a Buffalo Chicken Casserole with Ranch Potatoes that is not only comfort food, but has a little kick to it. Need something to have for dinner that doesn’t heat the house up? 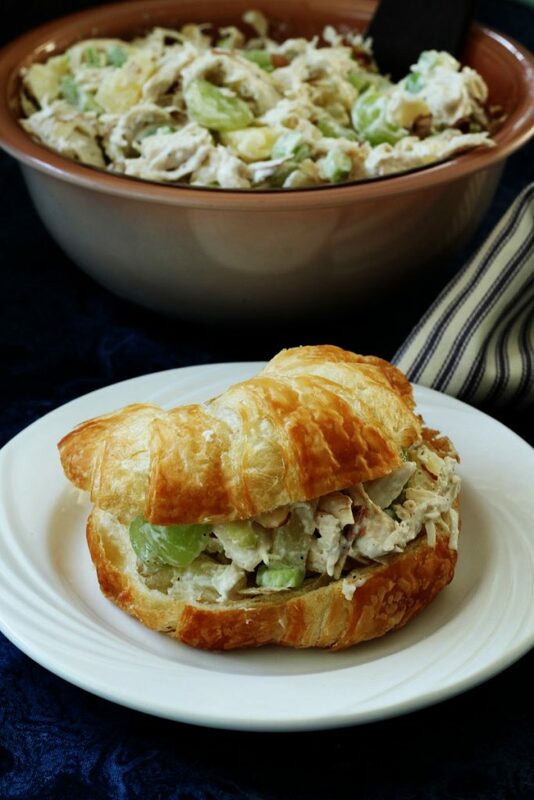 Amy from My Recipe Treasures has one delicious Chicken Salad Croissant Sandwich for you. There’s an ingredient in this recipe that I’ve never had in chicken salad before? Check the recipe out to see what’s a bit different, yet totally perfect in this chicken salad. Still trying to use up zucchini from the garden? 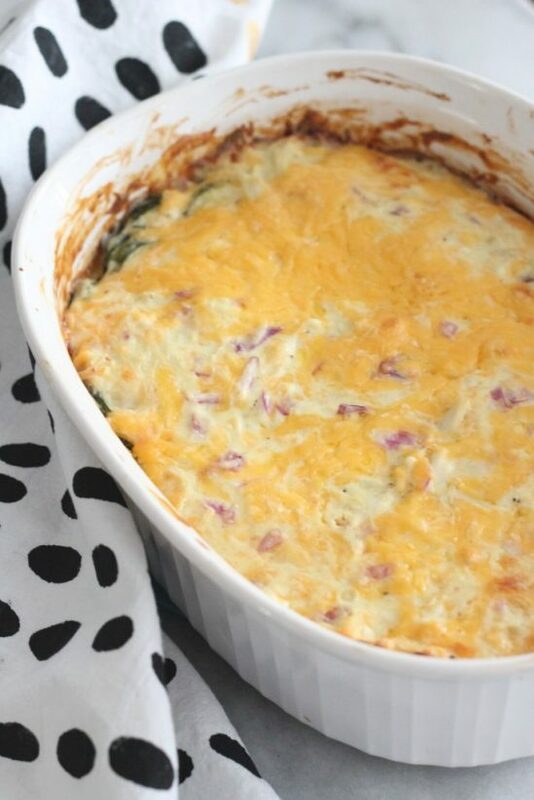 Try Jessa’s (Low Carb Delish) recipe for Cheesy Zucchini Chicken Casserole. Crystal & Co. have a round up of 30 Cheap Chicken Recipes for a Large Family, and I love this because even small families can benefit. Larger meals can mean leftovers or freezer meals! Let’s get to this week’s Tasty Tuesdays’ Link Party!